Le Mans Series GT1 champion Vincent Vosse is heading for a very busy season’s end – writes Joost Custers. Vosse will head this weekend to the Nordschleife, to drive a Manthey Porsche 997 Supercup, with Jean-François Hemroulle, in the final round of the VLN series. “I think it should be possible to go for a top 10 spot,” says the reigning LMS champion. After that, Vosse goes to Dubai for the final round of the FIA GT Championship. After a disappointing retirement in the Spa 24 hours, Vitaphone offers a ‘second chance’ to VV to drive the championship-winning MC 12. The Davies / Biagi / Vosse Maserati went out early on at Spa this year with a water leak, but Vosse partnered this group, right (Gardel / Vosse / Mollekens / Bouchut) to third at Spa in 2005. 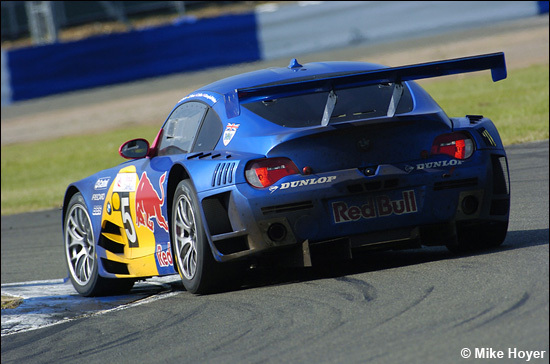 And Vincent finishes a busy season in Bahrain with Düller Motorsport in the BMW Z4 (below). 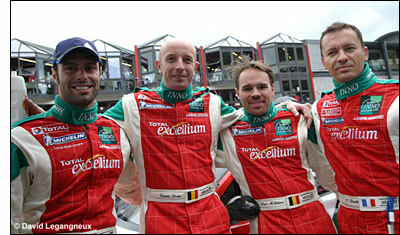 “I'll drive the succesful Silverstone 24 hours winning car, with Dieter Quester, Philipp Peter and Dirk Werner. "A victory should be possible,” suggests the happy fellow. Vosse is also the Vice Champion of the BTCS series.